When choosing an occupational therapist for a serious injury, illness, or accident, it’s important to know that you’re choosing one that has experience in handling cases like yours. Each kind of serious injury, illness, or accident brings its own medical, legal, and insurance challenges. PiOT has extensive experience across a wide array of serious injury, illness, or accident cases. For our clients, we have both treated their needs at home, at school, in work places, and represented their needs in court. We provide comprehensive assessment reports, and coordinate with lawyers, adjusters, and case managers so they are made aware of the unique needs their clients have after an accident, illness, or injury. 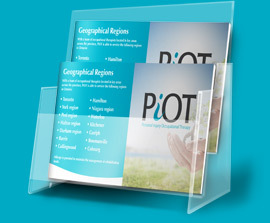 At PiOT, our occupational therapists have extensive experience treating complex injuries and illnesses. We develop a custom treatment plan for each client based on the type of injury they have as well as how it has impacted their lives. With hard work and devotion, amazing results are achievable.